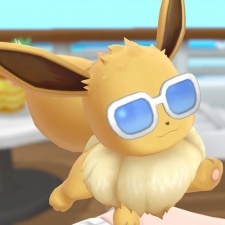 Game Freak’s catch ‘em all RPGs Pokemon Let’s Go Pikachu and Eevee have been snapped up by over 1.5 million players in the US within ten days of launch. According to Nintendo, the pair of games received a boost from the Thanksgiving holiday that culminated with Cyber Monday. The games have hit this impressive milestone between their launch on November 16th and November 26th's Cyber Monday. Announced back in May of this year, Pokemon Lets Go Pikachu and Eevee combine the story and world of Gamefreak’s Pokemon Yellow with some games mechanics from Niantic’s location-based augmented reality game Pokemon Go. Such nods to Pokemon Go include capturing Pokemon through throwing Pokeballs and skipping out on the wild-battles component. The news follows Nintendo revealing that the pair of Pokemon Let’s Go games sold over three million copies on the Nintendo Switch in its first week globally. On top of that, the three million haul also marked the Switch’s highest first-week game sales figures. According to Famitsu, as translated by Gematsu, it has also gone down well in Japan, where it topped the charts after selling 664,198 copies in three days. While the figure involves physical copies, Poke Ball Plus packs, download cards and Switch hardware bundles it does not include digital sales.